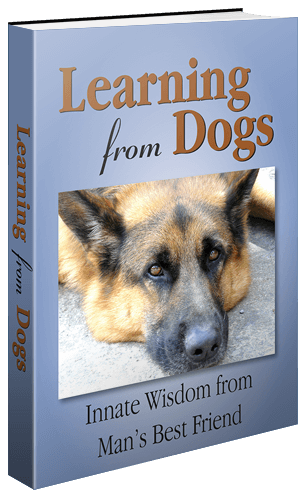 An essay on dog training. I wonder, given your recent post on adopting rescue dogs, if you would like me to write up an account of my retraining of a housesit pet dog? The dog in question was a mongrel but similar and cute appearance of a large, energetic Jack Russell. The owners loved him so much, but he was aggressive to strangers, unruly, filled with anxieties and totally out of control in many ways. He was a challenge, but responded so well to praise and love. His wild eyes changed and softened and he calmed down so much that when the owners came home, their jaws dropped. They came home to a different dog. She cried at the transformation. I didn’t charge for the training… We (my husband and I) do housesitting in exchange for free accommodation only. I spent an additional day helping the lady to take on the training schedule and change anything that she needed to…(as in commands she preferred to use)… The little dog responded so well to her that she almost started crying again. Let me know. I have nothing written up, but could do so. I guess it would be long, but could be a series of three perhaps? So many times I wonder at the luck I experience when dear friends of this blog offer such great material. Chapter One – I’ve told them You’ll Do It! My hubby and I house sit. This usually involves a pet or two, or more, and mostly dogs and cats. We had a break in our schedule for a few weeks coming up so our friend, Tom, sort of promised some new friends of his that we would house sit for them to look after their little dog: Spot! Pauline and Mike apparently had to go away unexpectedly and found that the nearest dog kennels had closed down. They had asked Tom to look after their little rescue pup, Spot, but Tom was hedging a little. While he liked animals, he wasn’t really enamoured with caring for Spot for three weeks. So he volunteered our help! The dates weren’t right as we were already on another housesit, so Tom agreed to do the first four days. We all went to meet Pauline, Mike and Spot a couple of weeks prior to their departure. Spot was a good looking, if slightly overweight, mongrel of mostly Jack Russell origin, but larger and quite out of control! Spot, hearing his name mentioned, ran along the room, sliding on floors, rucking up the rugs and almost taking everyone with him as he launched himself up the sofa onto the back rest and running alongside everyone’s head. He stopped only to lick Mike’s ear before jumping and landing in a puddle on Pauline’s lap. She petted him adoringly and fed him a bit of cookie which she had just dunked in her tea. Spot eyed the cup of milky tea and yes, Pauline allowed him to take a drink from the cup. He then jumped to the floor to examine my feet. I reached gently down to him. And Spot went in to action mode, his puppy-like bum in the air, shoulders down on the floor, whilst emitting threatening growls and yips. This dog was definitely the Alpha in this house. “Isn’t he sweet?” Pauline said, “But he’s really hard to walk and we can’t take him anywhere because he won’t behave.” Spot took this opportunity to grab one of his toys and run away with it at high speed, shaking it vigorously. Pauline went through more procedures…” Let me show you where his harness and lead is… We’ve attached a long rope to it…it is hard to keep him from jumping all over the place on a walk.” Spot immediately leaped up and snatched the harness from her grasp and ran like a demon with it, chewing down on the material and growling if anyone went near! He refused to give it up again. Pauline gave up and left him slowly destroying his walking apparatus. Just as well really, I thought… It was too small for him. I watched all the behaviour carefully. Spot just did exactly as he pleased…and jumped on every surface possible using high speed acrobatics that left the rest of us feeling dizzy! “This is going to be challenging,” I said to Tom as we left. “Spot is going to need an intensive retrain, and you are going to have to do the first four days!” Tom made a face. “I’m not having him in my car,” he said finally. That first night of Tom on housesit duties, he sent a message, sounding more than a bit exasperated. It was late. “I can’t get to sleep. I tried shutting Spot out of the room and he just about tore the door down! So I let him in, and now I’ve got a dog on my head that won’t go away.” A moment later, the picture of Spot on my friend’s head appeared on my mobile phone. I couldn’t help but laugh at the image. Tom looked really unhappy. I sent training video links to Tom so he could try out some of the various techniques until we arrived. Pauline had tried taking Spot to a trainer, receiving the first half-hour free. But the trainer was expensive, and Pauline couldn’t afford the fees. In her free half-hour, the trainer had slipped a choke rope over Spot and had him walk compliantly all over her office. “You need one of these!” was all the advice she gave. So Pauline had ordered one. Tom tried the new choke rope on Spot and had great success in the house following my simple instructions. But Spot had other ideas once outside the home territory and Tom said that wasn’t going so well. “He hates cats, and also frogs, they are all on the walk… he just goes bonkers and pulls like hell. He just has no discipline whatsoever! He’s choking himself on that rope!” Tom sounded like he was at the end of his own rope. Chapter Two – We arrive in Spot’s world! True to form, Spot greeted us with barks and raced around us with warning yips and yaps. I ignored him. It was late evening, and Spot, used to sleeping on his owners’ bed, and now Tom’s, was not going to sleep on ours (that’s where my husband draws the line)! I knew that Spot could not be allowed into the room as he had no idea how to behave or do as he was told. I would not have any success keeping him away from my husband. I spent some time fussing Spot, and giving him treats for several successfully completed “Spot Sit” commands. He relaxed. I set up a laundry clothes horse to use as a gate across our bedroom doorway. On the outside, I moved Spot’s large Duvet and Blanket (full of chewed holes), leaving his bed in its place in the living room. He had the choice of both. He followed us as we turned in. Only slightly confused by the gate, he settled down without even a whimper on his Duvet, content at least that he could see us. He slept part of the night there and part of it in his own bed (warming himself next to the dying embers of the woodstove). Success on the first hurdle. I kept a lot of Pauline’s routine. Whilst I was making the morning coffee, I gave Spot his half doggie stick treat and two dog biscuits. Spot knew what to expect as it is what he was always given first thing, so it was a comfort to him (especially as it involved food rewards). Spot’s world was about to change, but I kept the good stuff. Pauline happily allowed Spot on the bed and all the furniture, so I wouldn’t interfere or discourage it, except in the kitchen where Spot, standing upright on hind legs, would run his paws along the counter top trying to grab anything in reach. I would focus on the unacceptable stuff. The socially unacceptable behaviours. All pets miss their people. They feel abandoned by those that care for them and confused as to where they have gone without them. Stress will often exacerbate anxiety behaviours and present itself in all sorts of ways. Spot’s morning ablutions were of concern. He was pooing out huge bits of red fleece. He had made swiss cheese out of his blanket while Tom had been looking after him. Perhaps it was a regular thing as Pauline later reported that it happens a lot. Chewing is an anxiety behaviour, so poor little Spot was in heightened stress. Other stressed behaviours included hysterical growling and barking at any kind of disturbance beyond the fenced yard. Constant yawning and lip licking were other signs. Whilst Spot was eating OK, it was only because we were giving him his favourite food (chicken) to get something into him. Lots of dogs will refuse to eat when stressed. Spot had an eating disorder too. He would only eat dry dog food if it was mixed with hot dogs or processed ham. It was a poor diet and worsened by the constant hand feeding of cakes and cookies by Pauline and Mike. Spot’s teeth were already showing decay. He was only two years old. Our first day together was going to be a test of wills. But Spot was already calmer, having discovered that his antics didn’t draw my attention. Chapter Three – Getting to know each other. Spot is a rescue dog. Pauline had chosen him from a dog rescue facility that had picked him up from the streets. She didn’t know his history except that he had been abandoned. Interestingly, on our first meeting, we had visited a nearby cafe where two young dogs were making a racket! Peering at them outside below the window, I saw that they had very similar markings to Spot but both were much larger. I calculated it to be a good guess that they were his siblings; the behaviour so similar to Spot’s, that the cafe owner had to shut them outside out of the way. I also determined that Spot was the small runt of this particular original litter. Alpha dogs in any pack are the ‘strong silent, but confident leader’ types and not all dogs, just like people, make good leaders. Spot was one of these. Having said that, Spot was trying to be an ‘Alpha’ dog. This likely started after he was abandoned. He lost the care of his mother and found himself having to survive by whatever means. When he was rescued by Pauline and Mike, he desperately needed someone to ‘lead’ him. Many people are very kind and well meaning when they rescue animals, but often lack the skills to deal with the baggage that comes with a rescue animal. Pauline had made Spot into her surrogate ‘baby.’ She even called him ‘Baby Boy,’ and giggled at his antics when she was watching his overly-excited behaviour, which served only to send the message that Spot was doing the right thing! He was spoiled, indulged and encouraged. He became devoted to them both to the point that he felt he must protect them from every perceived threat, real or imagined. And he picked up on Pauline’s anxieties about strangers, possible burglars, and her propensity to see most things negatively before deciding otherwise, based on evidence. Her rolled eyes and conviction that he was OK there, even when left for hours, sealed my analysis that they could not leave him in the house alone, or he destroyed things because of separation anxiety. He was highly dependent and insecure! After a short breakfast where I ignored Spot’s begging, I called him for a play session. Armed with lots of training treats that Spot had already learned were very tasty, I found it easy to make friends with him. The games with his toys used up lots of his nervous energy and Spot was soon lollygagging on the hearth rug, offering me his belly for a rub. He was primed for training. What a great story, Collette. Yes, high strung, overly protective dogs are hard to train. However, as you are proving patience works. Susan, I have the advantage of having read the full story! It truly is a great story! This is a pawsome success story already. Looking forward to the next chapter! Sue, I just love sharing dog stories such as this one from Colette! Makes our year-old Blue Heeler pup look pretty well trained in comparison. And we thought we had challenges ! 🤣 Guess we’re doing okay! Good job, Colette!